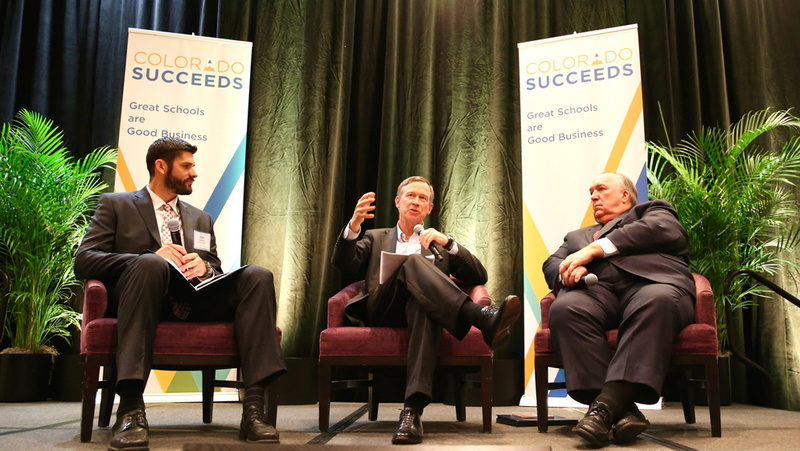 That was one of several messages delivered by former Michigan Governor John Engler and Colorado Governor John Hickenlooper during an Oct. 21 Colorado Succeeds/Colorado Business Roundtable luncheon. Engler, now president of the U.S. Business Roundtable, urged business leaders to play a lead role in beating back the challenge to higher standards and more rigorous tests. When the new Colorado Measures of Academic Success (CMAS) test results are released later this fall, Engler said, everyone needs to be braced for a dip in scores and not allow backlash to derail progress. 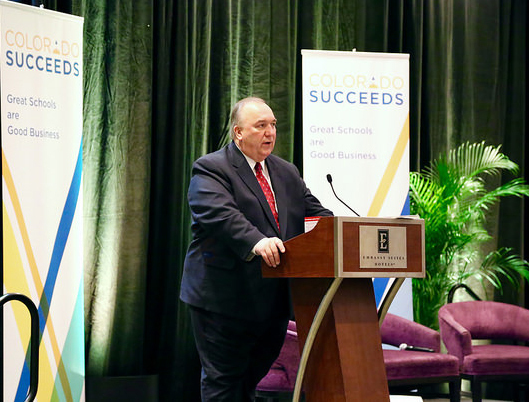 In Kentucky, which adopted new standards in 2010, an initial test score dip showed just 34 percent of high school seniors were college or career ready, Engler said. This caused consternation and backlash. But this year, Engler said, 67 percent of seniors met the college and career ready benchmark. “We need to have high standards in place and the state along with local school districts working to make sure our students are mastering these critical subjects. It’s pretty straightforward, in my mind,” Engler said. Hickenlooper, fresh off a plane after two weeks in Asia and the Middle East, said the trip opened his eyes to the ferocity of global competition. “What Governor Engler said is right. They are coming,” Hickenlooper said, referring to ambitious governments and workers from around the globe. “They are taking every good idea we ever had, and they have a sense of urgency and are coming after our economic leadership. 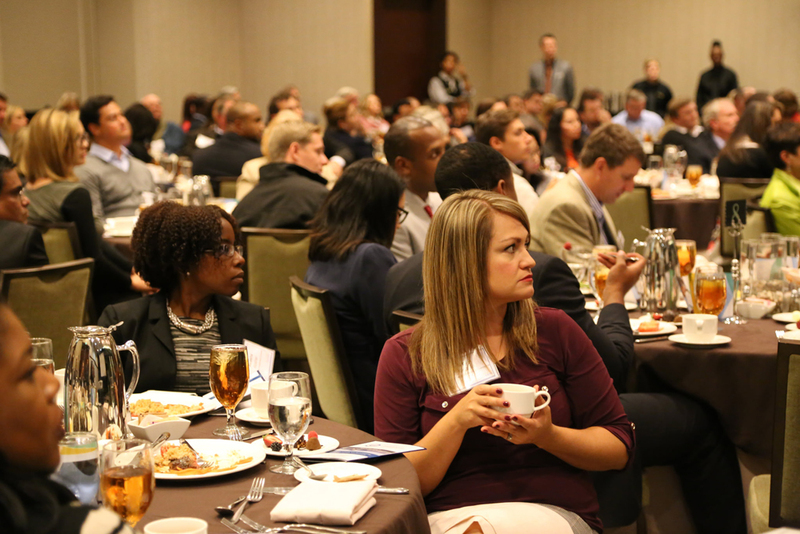 At the luncheon, Colorado Succeeds distributed a letter titled “Stay the Course Colorado,” urging Colorado leaders to “stand tall, keep calm, and stay the course” when the inevitable test score backlash occurs. People were asked to text message their names in to be added to the letter. Given the high percentage of Colorado high school graduates who need to take remedial courses at their own expense before enrolling in college-level classes, Engler said, parents should want to know whether their children are being well served by their schools. The two governors also put in plugs for career and technical education (CTE), as well as curriculum focused on the STEM (science, technology, engineering, and math) areas. 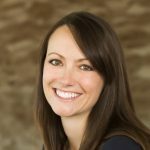 “I can’t believe that if we let more women and kids of color see what these jobs offer them in terms of a life choice and they are somewhat encouraged to pursue them, they wouldn’t jump at the chance,” Hickenlooper said.